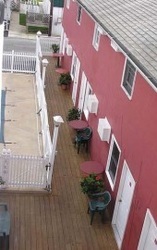 In the heart of downtown Ocean City, Maryland! Choosing the right Ocean City, Maryland hotel is important for you and your guest. 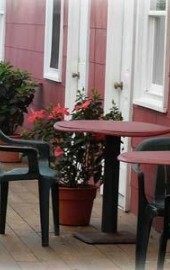 Of the Ocean City, MD hotels available to choose from, the Burgundy Inn offers a quality stay with cheap rates. Just minutes from the famous Ocean City Boardwalk and Atlantic beaches, you'll be at the center of all the fun Ocean City Maryland to offer. 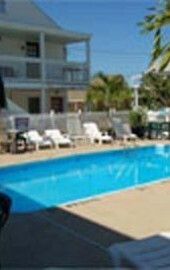 The Burgundy Inn is a great place to come back to after a long day at the beach and boardwalk in Ocean City, Maryland and relax on our tropical deck and cool off in our swimming pool. The Burgundy Inn is available for your next beach vacation. We are a great Ocean City Maryland hotel for your next Car Show, Bike Week, Shark Tournament, Tuna Tournament, or the Ocean City White Marlin Open. Spring Fest, Summer Fest, Fireman Convention, or long weekend. Ocean City Convention Center holds several special events throughout the year and we would like to earn your stay.